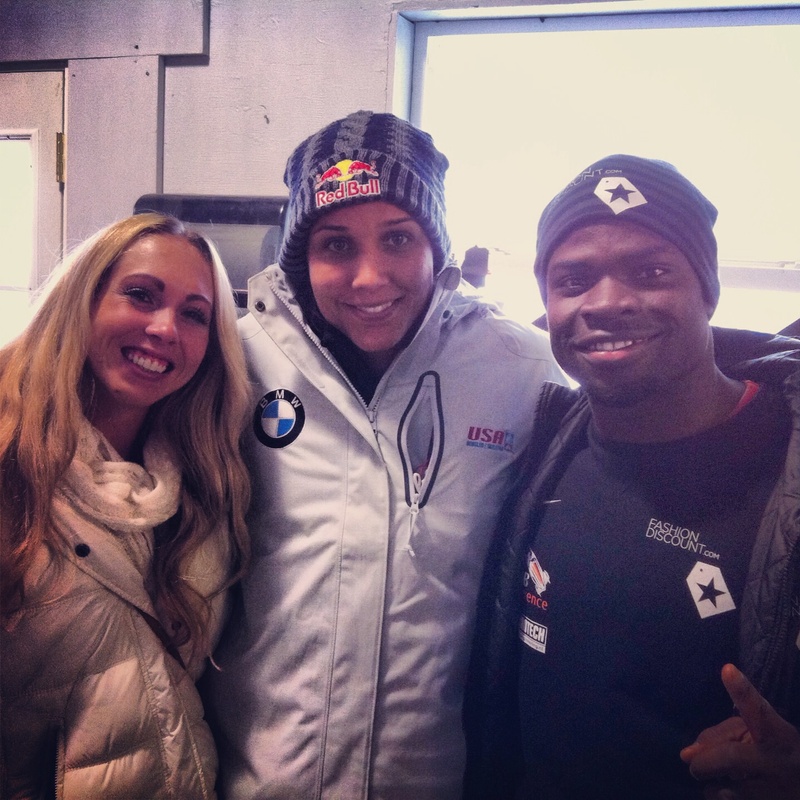 Olympian and World Champion, Lolo Jones, at the Utah Olympic Park with the founders of the GoldenSprint Challenge Invitational, Erica Shields and Akwasi Frimpong. Akwasi competed yesterday in his first international 2man bobsled race as a brakeman for the Dutch national team during the FIBT American’s Cup competition in Park City. Frimpong and his pilot, Ivo de Bruin took home the silver medal. Besides being a track star, Lolo jones has been doing bobsledding as well. She will compete this week in Park City.